Star Taxi is the most advanced app that you can use to order a taxi. Star Taxi is a modern solution for getting a taxi in few seconds: you can place an order without making a call. 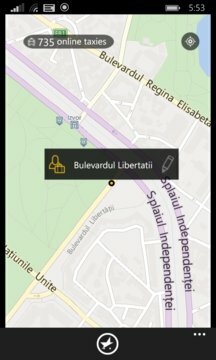 You can choose the driver and you can see the taxi on the map as it travels to your location. Also you know exactly when the taxi has arrived and you can leave a comment at the end of the trip. -	Your phone detects your location and, once you have confirmed the address, the app sends your order to the available taxis, starting with the ones nearest to you. -	When a taxi driver confirms your order, you may choose whether to go with him or not, or to search for another driver. -	You can see the taxi on the map as it travels towards your location, and when the taxi arrives, the driver can send you a “buzz”. -	You can chat with the driver, or you can just call him. Bonus: you get free Wi-Fi inside a Star Taxi car. 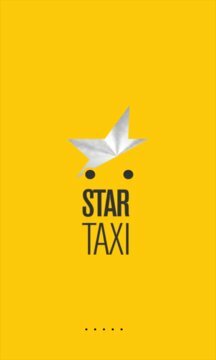 Star Taxi is the best app for ordering a taxi, for the moment available in Romania in the following cities: Bucharest, Brasov, Constanta, Cluj, Timisoara and also Chisinau; soon in other cities.